The dreadful high school year book photo. This is my first pastel drawing, done in eighth grade, for extra credit for my American history class. It is supposed to be Abraham Lincoln. It doesn't look anything like Lincoln,but at least I got the mole right! I loved the "valley," the Metroparks, on the west side of Cleveland where I grew up. I would often escape there walking miles and miles in the woods. 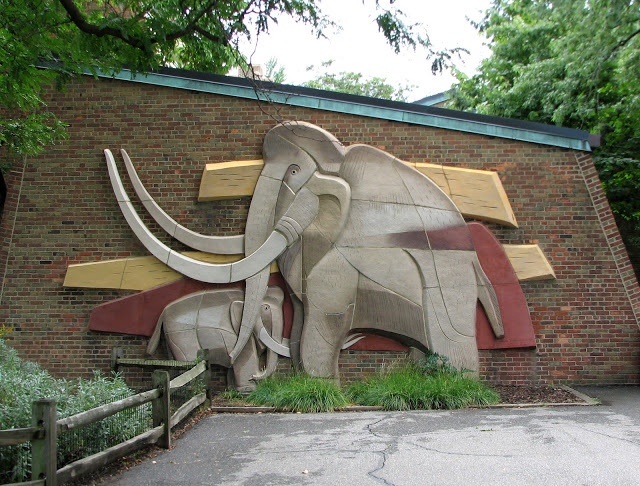 This is one of sculptor Viktor Schreckengost's bas-reliefs at the Cleveland Zoo, one of my favorite places in Cleveland. I loved watching the elephants and I loved Schreckengost's sculptures. 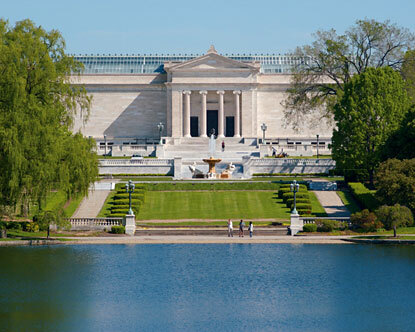 Another favorite place growing up was the Cleveland Museum of Art. My favorite piece there, even as a very little kid, was a conte crayon drawing done by Michelangelo. Lily the Wonder Basset invading the herb garden. Did you want to be a children's book writer and an illustrator when you were a little kid? No! I daydreamed about being a pop singer like Katie Perry or Broadway star like Audra McDonald. In my day—I’m an ancient—my favorite pop singer was Aretha Franklin and the Broadway star was Julie Andrews. There was one teeny, tiny glitch in my dreams. I couldn’t sing. Well, I could actually physically sing. I just couldn’t sing on key. Even today when I sing, dogs howl. I don’t know if they like my singing and are joining in, or they are howling in protest! Either way, my kids find it hilarious. I couldn't sing, but I could draw. I could draw well enough to get positive attention from grown-ups and my classmates. That attention encouraged me to draw more. As a kid I spent a lot of time drawing pictures and reading books. I spent a lot of time daydreaming and making up stories in my head. In fact, I excelled at daydreaming. But the thought of becoming a writer or an illustrator never occurred to me. I had all kinds of jobs in high school and college to pay for my school tuition and books. I worked in the Cleveland Department of Taxation as a file clerk. I got a job as a “talking Christmas tree” at Higbee's Department store in downtown Cleveland, and did so well they promoted me to the position of "elf" the next holiday season. In college, I worked as a sales clerk at Higbee's working nights during the school year and on weekends in the summer. On weekdays in the summer, I was an arts and crafts supervisor in the Cleveland city playgrounds. Memories of working with my playground kids provided the inspiration for my first book, Sing to the Stars. In my last year of college I became a part of the Higbee window display team—dressing mannequins, accessorizing fashion shows, constructing props for window displays. It was a lot of hard work, but a great deal of fun. After college graduation, the skills I learned helped me land a fantastic job working with a freelance visual merchandizing firm. I often traveled to New York for work and while there, I explored New York's many art museums. Working in the display field expanded my art and design skills. Later I left the visual merchandizing world to become a high school art teacher, a job that I loved. When my children were born, I stopped teaching and began doing editorial and advertising illustrations for newspapers and magazines because it allowed me to work at home. I became interested in writing and illustrating books for young people while reading books to my own children. I was just as enthralled by the illustrations and stories as my kids were! I began to think—maybe I can do this, maybe I can create stories that kids will enjoy reading. I do not know why ideas pop into my head, but I do know what I need to do to set the stage. Ideas begin when your outside experiences mix and mingle with your inside thoughts and feelings. That mixing and churning needs time and space. When I was a kid, I explored my neighborhood and community, and the city I lived in. And read and read and read every book I could get my hands on. And then I needed space to escape and think and relax. The exploring took place at school, museums, parks, the zoo, the beaches along Lake Erie, and later the many places I worked. The reading took place at my neighborhood public library and my school libraries. I was lucky to have a library at home, too, and I devoured all the books on our shelves. With seven younger brothers and sisters, living on a street with over 75 children in 15 houses, finding a quiet place to be alone was impossible. I learned how to find a quiet place inside myself. And when I did that, ideas popped. And that is what I still do. I explore and experience and read and read and read. Then I give myself some space and time, away from electronic screens, away from bustle and hubbub, even if that away space is inside my own head. And sooner, or later, ideas pop. We have a twelve year old Basset Hound named Lily. She sleeps on a lily-pad and buries old bones under people's bed pillows. And she loves eating vanilla cones at Dairy Queen, just the ice cream, not the cone. She's like Ferdinand the Bull and loves sitting in the garden smelling the flowers. She also likes to take naps between the tomato plants in the summer. She is what New Englanders call "a feature," which means she is quite a character. That is a hard question because there are so many books I loved, and still love. Leaf's and Lawson's Ferdinand the Bull; McCloskey's Lentil; Burton's Little House and Mike Mulligan and His Steam Shovel; Gag's Millions of Cats; and Johnson's Harold and the Purple Crayon were certainly among my picture book favorites— and anything by Dr. Seuss! My father read a number of chapter books aloud to me, from a very young age. I loved A.A. Milne's poetry books and his books about Winnie-the-Pooh and Christopher Robin. I loved Ernest Shepard's illustrations for the Pooh books even more. My father also took great joy in reading Charlotte's Web aloud and we both cried at the end, as my husband did when he read it aloud to our kids when they were little. As I got older, I loved reading biographies and any books about history. I loved Robert Lawson's Ben and Me. I also loved Caddie Woodlawn, Mary Poppins, The Borrowers, Gone-Away Lake, the Melendy Quartet books, All-of-a Kind Family, Eight Cousins, Anne of Green Gables, Pollyanna, Mrs. Mike, and so many more. 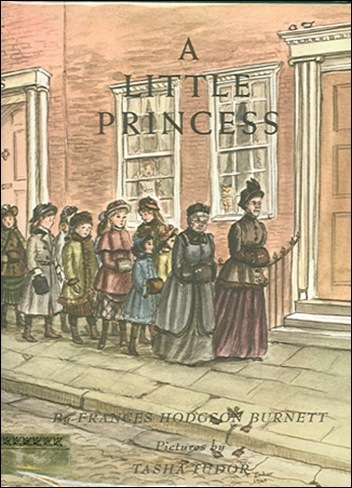 The two books I read over and over, again and again, were Louisa May Alcott's Little Women and Frances Hodgson Burnett's The Little Princess. But the Little Women book had to be the version illustrated by Betty Fraser and The Little Princess had to have Tasha Tudor's illustrations. Otherwise, it was just not the same kind of reading adventure. My favorite contemporary young people's authors and illustrators are Katherine Paterson, Natalie Babbitt, David Macaulay, Steven Kellogg, Maurice Sendak, Eric Carle, Patricia McKissack, Susan Cooper, Patricia MacLachlan, Nikki Grimes, Gregory Maguire, Barry Moser, M. T. Anderson, Linda Sue Park, Kate Di Camillo, Elizabeth Partridge, James Ransome, Chris Van Dusen, Timothy Basil Ering, and Calef Brown, Rosemary Wells, Jane Yolen and so many more, way too numerous to mention! Yes, I am working on two novels. One novel is for middle grade kids and the other is a young adult novel. I would like to create black and white page illustrations for both.